Amazon.com Inc said on Tuesday it had agreed to acquire more than 450 children’s book titles in the United States (US) from publisher Marshall Cavendish. The titles include “The Night Before Christmas", illustrated by Gennady Spirin; “Chalk" by Bill Thomson, and “My Name is Not Easy" by Debby Dahl Edwardson, Amazon said. Amazon will keep publishing the books in print form, but the company also said it will sell them as e-books which can be read on its Kindle e-readers and Kindle Fire tablet computer. The deal highlights Amazon’s shift from a distributor of other companies’ books to a publisher in its own right, according to Colin Gillis, an analyst at BGC Financial. 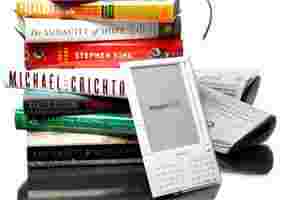 Amazon has battled in recent years with some of the largest publishers in the world over new ways to distribute e-books. Publishers mostly prevailed, so Amazon started allowing authors to self-publish their work as e-books. The company has also started publishing authors under its own imprints such as 47North. “This should raise the alarm for other publishers," Gillis said. “One of their healthiest distributors is getting their business."